Possibly get FREE Stonyfield Organic YoBaby Veggie Whole Milk Yogurt: Purple Carrot/Sweet Potato! For Mom’s meet ambassadors by invitation only. If you’re not a member sign up here first. 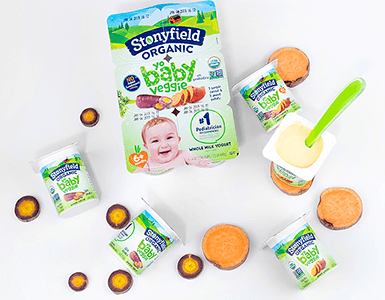 Mom Ambassadors selected for this opportunity will receive: Stonyfield Organic YoBaby Veggie Whole Milk Yogurt: Purple Carrot/Sweet Potato to sample, coupons to share with your group, and additional Stonyfield Organic YoBaby goodies, as a thank you gift.